Studio unveils first image of Thunderbird 1 from the new series, while visitors have been treated to a large scale model of the rocket. Thunderbirds Are Go! has been officially launched at this year’s Licensing Expo in Las Vegas with a first look at the new Thunderbirds 1. 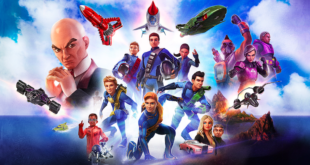 From ITV Studios Global Entertainment, Thunderbirds Are Go is a remake of the 1960s classic TV series coincides with the 50th anniversary celebrations of the property next year. 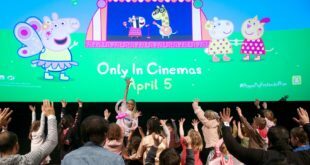 Vivid Imaginations has already been signed as the Master Toy licensee with worldwide rights, excluding the US and Asia, with new partners to be announced in coming weeks. As part of the launch activity, the studio has unveiled the first official image of the iconic Thunderbird 1 from the new series, while visitors to the firm’s Licensing Expo stand have been treated to a large scale model of the rocket. Trudi Hayward, SVP, head of global merchandising, ITVS GE, said: “The new series looks stunning and we have every confidence that it will be a massive global hit. 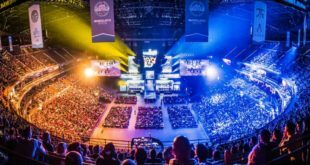 “There is a huge affection for this much-loved brand in the UK where it is a national treasure and there are also many exciting themes and characters that will chime with global audiences tuning in for the first time.